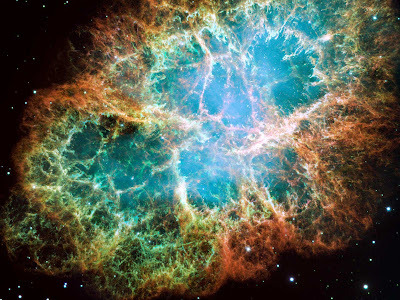 What is a supernova, and are they all the same? You are in a wide orbit around a red giant star when suddenly alarms start blaring around you. Your detectors pick up a huge wave of neutrinos heading towards your ship and you know something spectacular is about to happen. The core of your host star has collapsed in on itself causing a shock wave to reverberate out from its centre to the surrounding envelope; and it all happened minutes ago in a period of less than one second. At some point from just a few minutes ago up until two hours from now, the envelope of the star will be blasted outwards in a cataclysmic explosion that will shine brighter than the whole galaxy. The superheated remnants of the stars outer shell advance outwards emitting radiation from x-rays to radio waves ready to engulf your ship in an instant. I think now might be a good time to get out of the way. This overly dramatic event describes the death of a massive star, in a process with an equally grandiose name, Supernova. The word supernova, however, only describes the explosion itself, which remains fairly consistent from supernova to supernova. What differentiates them is how they reached the point of supernova and how we view it afterwards. There are two distinct types of supernova, Type II and Type I, and it is the difference between lighting a slow burning fuse to a massive pile of TNT, or lobbing a Molotov cocktail at it and hoping for the best. Type II supernova result from a lone star reaching the end of its life and, not wanting to go out quietly, explode perilously into the night. When a star nears the end of its life and runs out of Hydrogen to fuse together at its core, in a search to counteract the immense gravity causing it to collapse in on itself it starts to fuse heavier elements, starting with Helium and moving up through the periodic table towards Carbon. Now, a star like our Sun will (having no choice in the matter) stop there, lacking the energy to carry the fight any further. If, however, the star is more than 8 times that of the Sun there is little standing in its way on the course to victory, providing us with an abundance of elements all the way up to Iron. By this point the fuse has been well and truly lit, fusion has no ceased in the core and gravity is starting to take over. The iron core contracts, its protons colliding with very high energy electrons to form neutrons (neutronisation). 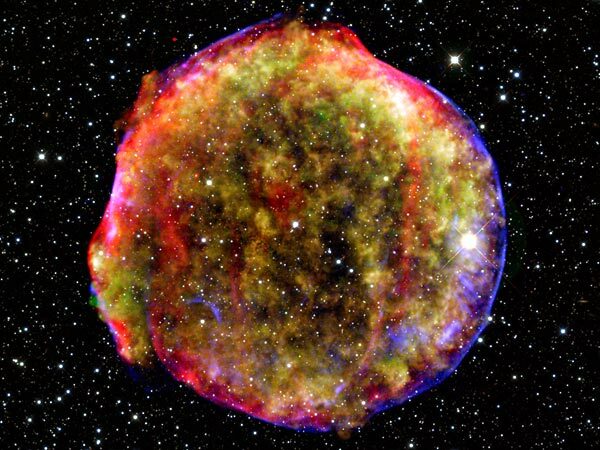 This sends shock waves through the in-falling material of the outer shells and ‘Kaboom!’ Supernova. Although this slow burning fuse may seem like the most likely scenario for an explosion of such a magnitude it is the Type I supernovae which just seem to grab the gauntlet in terms of the rate of occurrence in our galaxy. This is due to the simple fact that most stars are actually part of a binary system, where two stars orbit one centre of mass. Stars in a binary system evolve the same way as their solitary compatriots fusing hydrogen in their core until they work their way through the elements up to carbon, then allowing their outer envelope of atmosphere to slowly dissipate away leaving a white dwarf in their wake. If however, one of the stars is older than the other (undergoes this process before the other) then you will be left with a binary system consisting of a white dwarf and a main sequence star. If the two stars are in close orbit to each other the white dwarf, being both very dense and greedy, will accrete matter from the main sequence star onto its surface due to its stronger gravitational pull. This matter transfer from the main sequence companion to the white dwarf is the ultimate Molotov cocktail when the white dwarf and accreted mass reach the Chandresekhar limit (1.38 times the mass of the sun), the white dwarf will uncontrollably start to fuse carbon and oxygen detonating the star in an eruption known as a Type Ia supernova. 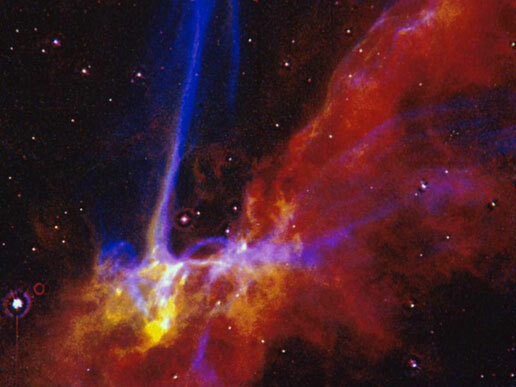 Supernovae events provide us with a huge amount of insight into the universe and the nature of the stars themselves. “we are all made from star stuff” the famous quote from Carl Sagan refers to the creation of the heavier elements that make up you, me, and everything you see around you in the cores of massive stars that then went supernova scattering them across the cosmos. It is also thought that supernovae can be a strong trigger for star formation in some regions of galaxies, though theorists are still working on getting a definitive percentage for their influence in this context. The radiation emitted by a supernova can be monitored over time by a change in the luminosity. This relationship is clearly understood for the different types of supernova allowing them to be used as standard candles for the cosmos. 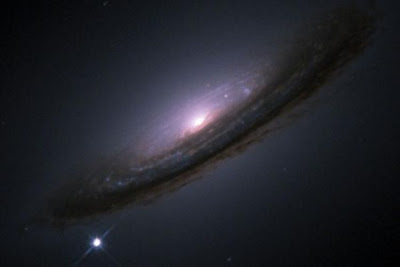 When a supernova goes off in a distant galaxy this relation can be used to determine the distance to that galaxy along with clear measurements of the observed redshift we can understand more about the make-up of distant, and therefore more ancient, galaxies. Plus and I have to say that along with the awesome science, one of the best things it gives us is some truly spectacular images from NASA of the devestation they leave behind.